It's Here! The SprinkleBakes Book and a KitchenAid Giveaway! 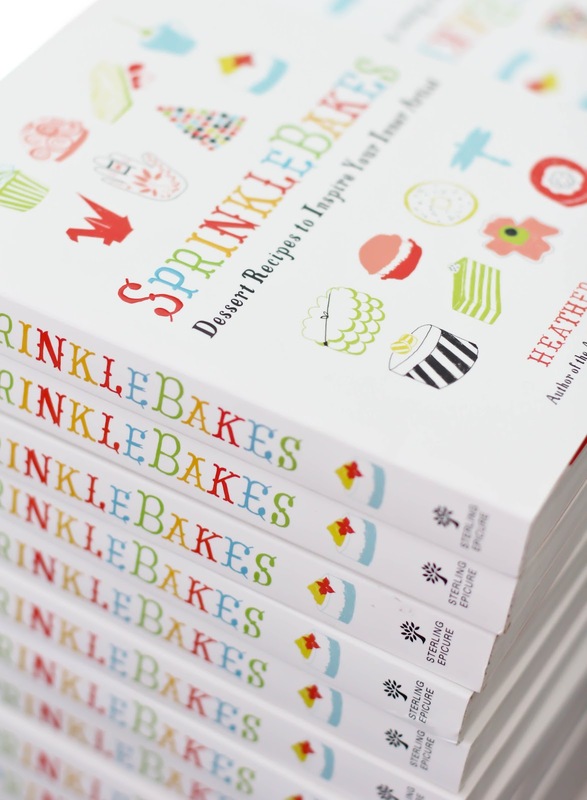 It's the official publication day for the SprinkleBakes book! I'm so excited and more than a little nervous! Every other post on my blog will feature a recipe, but today I wanted to tell you a little bit about what I've been pouring so much love and work into over the past year. I really hope it lives up to everything you'd expect - your encouragement from the very start of this blog has meant so much to me and has made this day possible. Hopefully this will answer your burning questions: inside you'll find 77 recipes. Of those, 36 are basics that every baker and dessert enthusiast will want in their recipe arsenal.This section is called "Blank Canvases" because these recipes can be endlessly varied with flavor, color and shape. I return to these simple and approachable basics again and again. 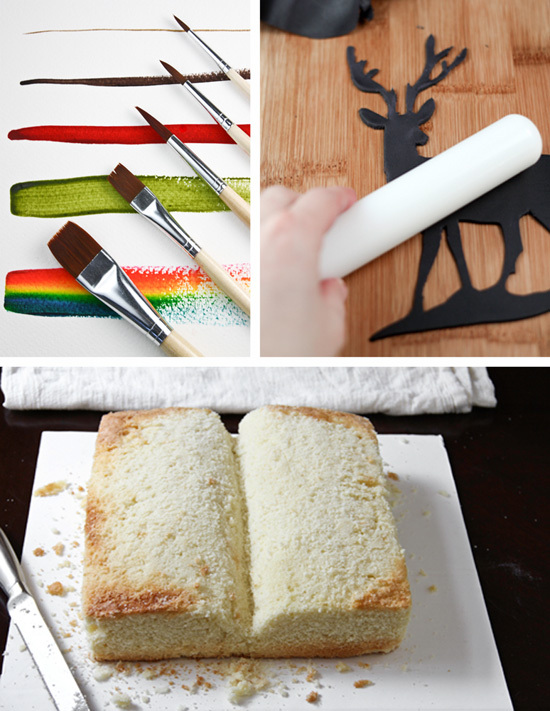 Use them to create a confectionery work of art, or just to satisfy a craving! I've said before that this is an art-meets-baking book, but what does that mean? The creative recipes in this book are listed under chapters called Line, Sculpture, Color, and Mixed Media. Preceding the recipes in each of these sections you'll find - art lessons! From brush primers to sculptural cake carving instructions, this book teaches you how to think like an artist. A few recipes are elaborate, but many are easy to make, and I give plenty of templates. 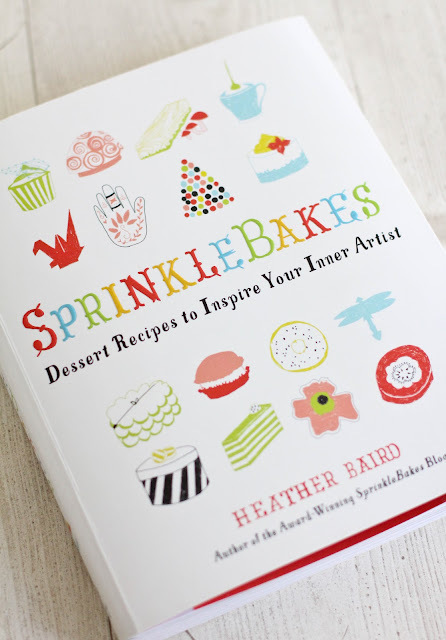 At heart, this book is about taking the things in life that inspire you, and recreating them in your baking. It's about making the most of your time in the kitchen and being able to share something delicious and memorable with those you love. As my publisher tells me, launching a book these days is hard work. So if you're willing to help me spread the word, I'd be more than grateful. You'd be a big help if you'd care to tell a friend, tweet, post an Amazon or Goodreads review, or anything else. I'm told every bit counts! 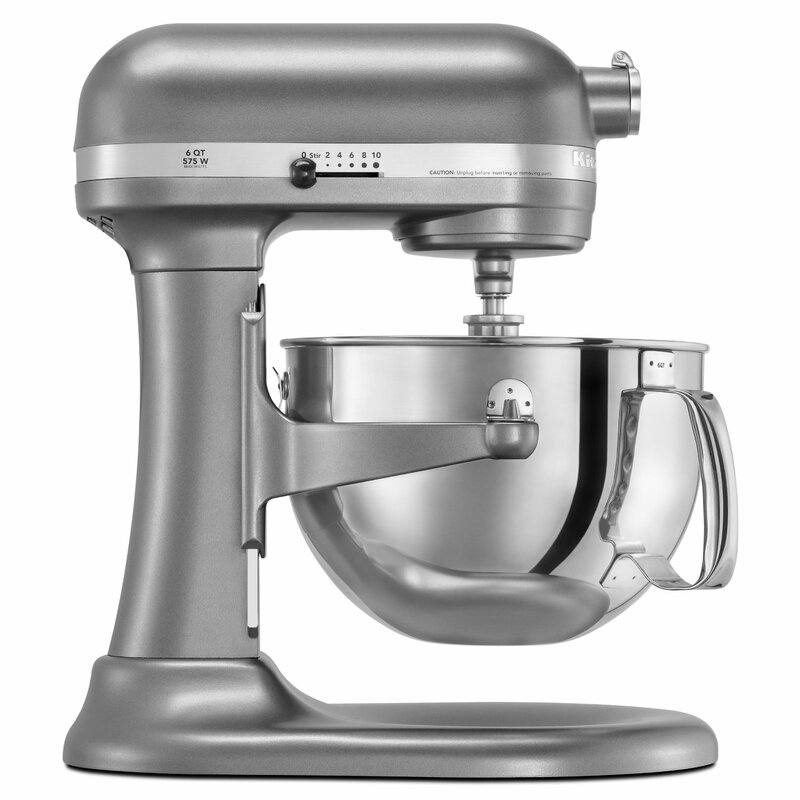 To help celebrate, I'm giving away 5 copies of the book, plus a KitchenAid Professional 6-quart stand mixer! Leave a comment below - tell me what inspires you! Maybe it's a loaf of freshly baked bread, a pretty dress, your children, a good movie... it can be anything! Please be sure to leave an email address or some way to reach you if you win! Deadline for entry is Monday, May 7th. Winners will be chosen at random and announced in this post and on the SprinkleBakes Facebook page on Tuesday, May 8th. Contest is open to everyone with a valid mailing address. Winners chosen using random number generator Random.org. Thereasa Gargano said... I have been inspired by your awesome baking ideas, I made your yummy champagne mousse not very long ago. 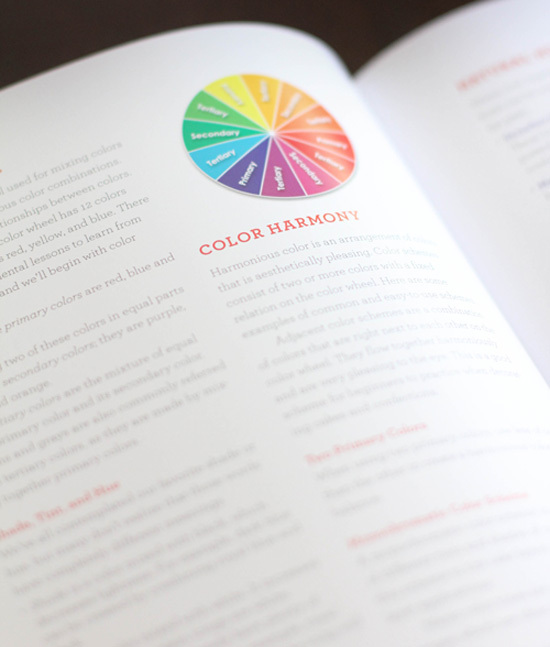 Color also inspires me; I will be baking your wonderful looking/sounding shortbread cookies. I haven't used Hibiscus in my food for a very long time, simply inspirational. :-) Congrats on your book. Thanks for this wonderful giveaway opportunity. Good luck to all. Zack said... Cooking with my girlfriend weekly has given me inspiration to want to be a better cook! Seeing her make increasingly complex recipes week after week inspires me to branch out and try to make the best thing she (or anyone at my work) has ever tasted! Devon @ deli-cute-essen said... Recently I have started making my own bread and it has inspired me to make more and more "staples" at home rather than buying them. Also there is nothing better than smell of fresh baked bread! Michelle McCandless said... What inspires me - nature always! I love the beautiful vibrant colors of flowers and butterflies - and they transfer so well to baking! PS. If you'd like to know where to find my book, check out the blog's updated book page! OH I can't wait to buy a copy of your book!! Congrats!!! Someday perhaps I can create pretty baked goods like you do!! What inspires me? My kids and my husband... the are the reason I wake up in the morning and my entire world! I have been finding inspiration in my flower garden this spring! The colors and shapes have been beautiful! Wow! Amazing! Things like this inspires me. Beautiful books full of colour and yummy things! My sister inspires me. She is a single mom to two (amazing) kids, she works part time, and is going to school full time for nursing. The obstacles she has overcome, the strong faith she has, plus the love and compassion inspires me to be a better person and to always go for my dreams. My mom inspires me. She is such a caring, devoted person and always looks on the brighter side of things when no one else does. The book looks lovely! The cover is so fab! Congratulations Heather!!! I am so excited for you! I can't wait to get my hands on a copy. Inspiration for me comes from almost anything - shoes, a pretty dress, fresh produce, seeing beautiful images in magazines. The Norwegian nature inspires me, especially now when its spring. I love how the flowers have so many clear, beautiful colors, the green grass and all the animals coming. Butterflies, birds and bugs. Congratulations to your new book! It's awesome and I will post about it on Facebook. I think there are a lot of bakers out there waiting for a book like yours. I'm mostly inspired by the farmers market. Fruits and vegetables of the season, dairy products of the region and of course food blogs providing beautiful pictures of food and awesome ideas. COLOR!! Come on..lets face it...it is everywhere! It is why I love your blog, I love the color and how you use it in your baking and decorating. I am inspired by so many people, gestures, smells, textures, but most of all I love to fall into cold sheets and snuggle with my boys. My family is what inspires me in all that I do and to take in the beautiful things that surround me everyday! My kids are probably my greatest inspiration. Homemade bread that comes out perfectly, my husband and daughter, and the fact that spring is finally arriving! Congratulations!!! Will help to spread the word. My inspiration comes from my mom...the original Martha S. Like sooo many women of that generation, mom cooked, cleaned, painted, wallpapered, sewed my clothes and all the curtains in our home, gardened....and she considered all of it an art. This is really nice! I get inspired by things that look as great as they taste! I am inspired as soon as I see the smile on the face of the eater!! Nature inspires me, from the earthy tones of the forest to the vibrant shades of a butterfly, to the cooling shimmers of a misted day and the warming glow of sunshine on bare skin... as well as food blogs of course! Childhood Memories of my Mother baking in the kitchen inspire me to bake....there is nothing like a Mother. I think the simple things like flour, baking powder, baking soda, fondant, bananas, chocolate, mint leaves... things like that inspire me to create interesting, simple baking that makes my family and friends happy. Baking is a metaphor for the challenges we face in life, and sometimes it is what gets me through when all else fails to go right. A freshly baked cake and a new episode of my favorite TV-Show! My Dog Moses inspires me, to see his tail wag or watch him barking in his sleep, brings a smile every time. Wow, the book looks great!!! Pretty much everything inspires me: other food bloggers, nature, family and friends...anything! Congratulations on your book! I'm sure it's very exciting!! My inspiration comes from Christ!He is my Author! :D I am soo excited about your book! Your book looks amazing - CONGRATULATIONS! I don't know that I could ever recreate any of your genius ideas but I would love to try. I'm inspired by color, form, laughter, and find inspiration in what I see and find around me. Congratulations on being published! congratulations! I can't wait to check this book out if it's even a little bit as beautiful (and as inspiring, ha!) as your blog. I'm inspired by the changing of the seasons, the weather, the colors, and the smells. Makes me want to get out there and do something while I'm here in this beautiful world. It looks great! I love going through heaps and heaps of cookbooks and blogs like yours, that's what inspires me. What inspires me? Seeing all of the delicious treats baked up by creative moms just like me all over the internet. I am inspired by the beauty around me that was creatively and lovingly made by God the father. His love and the love of my family inspires me to do what I can to make them smile and laugh, and to show them, in little ways, how much I love them. My biggest inspiration would have to be my grandma (who makes the best yorkshire puddings ever! ), she's cooked and baked her whole life pretty much for her family and has left countless recipe books that she's written herself for me to have and pass down to my children and grandchildren one day (no time soon, i'm only 20), so now i'm inspired to write my own recipe book and add it to the collection. <3 I hope to own a cake shop one day. The people I love inspire me. I love coming together with friends, cooking, baking and having fun. That makes me the happiest of all! I get inspired by beautiful cookbooks and food magazines! Always makes me want to get right back in the kitchen. My son inspires me everyday...He shows me how to just have fun and whats its like to live with no stress! Little ones are so simple in their way of thinking that you cant help but be inspired by their imagination! Congratulations! !...Sprinkle Bakes has inspired me so much with baking esp to simple homecooks like me to add in creativity to my desserts and cookies..Simply wait for each new update for your creative art and work in my email. You have done an awesome work...Thank you for bringing up this book for us...will surely treasure it. Well, what inspires me the most are blogs like yours, or Sweetapolita's o Bakingdom's. You know, those little sweet things you all post not only inspire me to create my own baked goods, the make me really, really happy. And vintage & retro stuff, I'm a truly lover of them. So, that's it! Congratulations one more time! Hi there! Apart from loving your blog it is a great inspiration to me. What inspires me....? All, but now with pinterest and the amazing www, I can get inspiration right on the sofa, je je. Mainly right now all beach stuff drives me crazy! It looks so beautiful! Congratulations on the book. My daughter inspires me every day to find good recipes that are delicious and healthy. Right now I would say my granddaughters inspires me to try new things. I just to let you know so do you!! I just love your blogs! Thanks for your time and energ! My family inspires me. I love seeing them smile & how much they enjoy eating my delicious baked creations. They love being my guinea pigs. Congrats, best of luck on your book. My daughters and granddaughter inspire me! I'm inspired by friends and family who love what I cook and make me want to try new recipes. oooh, your book looks sooo good!!! Pretty things like tea cups, macarons and flowers! I know the Sprinkle Bakes book will be amazing and I am so excited about it! I am always inspired by great cookbooks, food photography, colours, my best friend and my mother who gives me advice and supports me in my life. Congratulations on your book, looks lovely. I am inspired by my daughters wedding! Your book has been in my amazon wish list since you first announced it. You have so many great, creative ideas. I get inspiration from mother nature. So many beautiful colors. My family and the world around me inspire me! I love to see and learn new things. 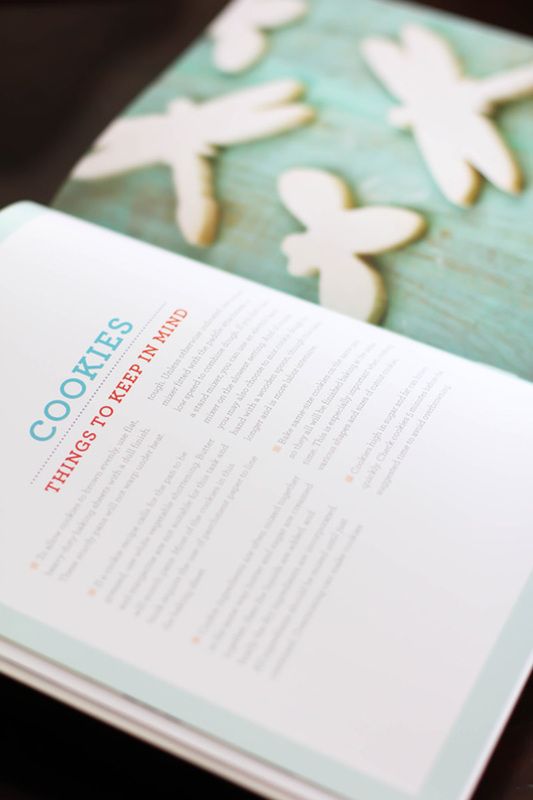 One reason why I would love to win this cookbook, because I love baking and trying new things! Congratulations!! Congratulations! The book looks amazing! I am inspired by the weather, changing of the seasons, and what is locally available. I know your book will be a great success! My daughter inspires me! I'm a new mom, and my baby girl has completely transformed the way I live. I now want to work harder towards my dreams so that one day she can say she's proud of me. I want to give her everything she deserves, whether that's clothes on her back, a roof over her head, or a yummy SprinkleBakes treat in her belly. The cliches about being a mom ring so true with me, and every day I look at her face I'm inspired to just live for her. My biggest inspiration is the japanese cherry tree! It's in full bloom right now and I just love sitting under the trees on a sunny spring afternoon with a picknick basket full of goodies and seeing the slightly pink petals beeing carried away by the wind! My grandma inspires me. She walks every morning, no matter what the weather, with her little dog in tow. Her house is always perfectly clean, she yells and swears like a sailor when her rugby team is losing and she can make a mean chocolate gateau. I also love a freshly baked scottish harvest loaf and fasnacht (PA dutch donuts)! I will definatly get this book! looks fantabulous! People who help other that are less fortunate is what inspire me. I just hear a story about a 70 year old woman who is building a facility to help homeless teens in the metro area. She is doing it all on her own and has not asked for help from the government. What inspires me - nature always! I love the beautiful vibrant colors of flowers and butterflies - and they transfer so well to baking! I'm continually inspired by food blogs (especially yours!). They give me so many ideas for beautiful, creative food/baking creations. I have an entire folder on my computer labeled 'Baking Inspiration' where I save pictures and recipes of things that I can't wait to try out! Congrats on your book, you're so incredibly talented! Seeing what people can do, who are more talented than I, inspires me. Its seeing that it can be done well, that pushes me to at least try, and then perhaps, try again. spring flowers inspire me...the bright yellow cushion spurge, deep purple lupine, hot pink phlox, tangerine tulips!!! I check your blog every day because it makes me silly-happy! The pictures are fabulous and the recipes are always innovative in some way. You've created a beautiful universe. Thank you Heather for sharing it with us! I am inspired by the rumblings and particular cravings of my tummy...that is what determines what I bake any given day. I'm inspired by artistic photos similar to those which you include on your blog. I revisit sprinkle bakes time and time again just to drool over your photos - and get inspired to bake in the process! Colors and Shapes. And of course dreaming up crazy ideas for my family. Trying new ideas out on them is always fun because you never know if the design or recipe is going to work or not. Can't get a more honest opinion than kids. Congratulations on the book - I'm looking forward to getting a copy. Lemons. My nanna made the most luscious lemon butter from her old lemon tree (you know the kind that just looking at it makes the mouth water) and now every time I smell the fruit I guess I channel her because it sends me in a cooking frenzy. Congratulations on the book - it looks beautiful. Typically I get inspired by simply not baking anything pretty for a while, I can only bake so many chocolate chip cookies before I need to express myself with (and eat) something decadent. I'm inspired by my grandmother's recipes, they are so delicious! First of all CONGRATULATIONS on your book.. i can only wish I can own one. Sunshine is my inspiration! It is my energy and fuel to get through any task. Hi Heather, your book looks incredible, well done! I love that you've combined food and art because - let's face it - we're all artists in our little way, aren't we? I'm definitely going to get a copy of your book, it really looks like it is packed full of great ideas! I'm inspired at the moment by the vivid colours and unusual shapes of organically-grown vegetables. Every week a new set of beautiful vegetables brings new cooking challenges - and I've found that the colour inspiration has really seeped over into my craftwork as well with knitted vegetables, painted veg, and cross-stitched peas. Ho hum! I'm so excited for the book!!! Congratulations Heather! I love your blog so so so much. The book must be for my, I need it. My mom inspires me. She'll do anything to make sure we are happy. I love spending time with her and baking treats for my nephews. there are several things that inspire me.i'm always inspired by my husbands smile. his laugh is contagious and makes me happy. he makes me want to be the best person i can be. my beautiful friends also inspire me by their encouragement, support and endless supply of giggles. sunshine ,apart from making me feel better also inspires me to cook for those i love..
A great book or movie is always inspiring. so is catching a glimpse of a woodpecker on my morning walk or watching a butterfly drink from the hibiscus in my yard. The book looks ace, can't wait to get it! I am inspired by so many different things but my favourite sources are local craft shops. Fantastic lace, beautiful paper and a rainbow of colours. Incredible! LOL. Pinterest inspires me! The creativity of others and their courage to share gives me th encourage to attempt to be more creative and try new things. CoNgRaTuLaTiOnS on your book coming out...I will be heading over to Amazon to order one or two! What inspires me is the little things in life like nature and the joy of giving. Oh wow! Things that inspire me are my 2 beautiful girls. I LOVE baking from scratch. I love pretty simple and easy to make cupcakes or cakes. I'm inspired by the sunrise every morning.. just before the world wakes up. The day is new, fresh, and open to all the possibilities it could bring! I am inspired by the smiles on peoples face when I present them with something beautiful and tasty! Especially my niece and nephews! Who think my superpower is whisking!! Cant wait to get my hands on a copy of your book and a few more for presents for my friends and family!! My inspiration comes from the sunrise and a brand new day to discover new ideas for cooking, baking, gardening and my crafts! Congratulations on the new book! I am inspired by beautiful bright colors, my grands and something that looks to pretty to eat, but you eat it anyway!!! so excited for your book, I get inspired by seeing others follow through on their dreams! Right now, the leaves are unwrapping themselves from their buds and the promise of spring is so very inspiring! SO unbelievably excited and happy for your! YAY!! My latest inspiration was a a pair of shoes given to me for my birthday, the feature a lovely houndstooth fabric and red trim! also amazing work on the book! Good luck with the publication of the book and all the exciting things that will be coming your way! Exposing my four children to new and different food inspires me to cook. I can not wait to get my hands on a copy of the book. I perfect read, I am sure! I read cookbooks like a novel. Felicidades!! Un año duro de trabajo que hoy tiene su recompensa con la salida estelar de este maravilloso libro. Me encantaría que lo tradujerais al español y poder tenerlo a la venta donde yo vivo Barcelona. Quiero participar en el sorteo, me encanta esa KA!! I'm most inspired by spring and it's wonderful colors. My daughter inspires me, she is 2 and it's so cool to watch her experience things for the first time. I love being able to show her new things, and I can't wait to teach her to bake! These wonderful food blogs inspire me! So many talented people out there with the cutest ideas!How can you not be inspired after seeing these amazing creations! My bigest inspiration are my family and friends, who always love my cooking and my baking. I bake with my heart and I can not wait to get your book, to try some more new things. Being a stay at home mom to my 3 children has unexpectedly inspired me. I was a teacher for 3 years before I had my 1st child, my daughter. When she was only 21 months old she was diagnosed with a rare for of cancer and we found out we were pregnant with number 2. She underwent 42 weeks of chemo, some radiation, transfusions, and 5 surgeries. All before she was 4. She is now cancer free, thankfully, for the last 2 1/2 years. She also now has 2 brothers, one 3 and the other 15 months. At the time of her diagnosis I decided I would be a stay at home mom to make sure I could spend all the time with her and care for her as I could. Here I am being home 5 plus years later and needed an outlet and a way to release my creative side more. With all 3 kids having egg allergies, I needed to learn how to bake and decorate to create nice cakes for their birthdays. I am still learning, but I always turn to them, and what we have endured as my inspiration. Congrats on your book and I cannot wait to get my copy!!!! I'm most inspired by the cool air when I'm on my morning run. My head feels clear. Congratulations on the book! I've been following your blog since the beginning! Congratulations on the book! I am inspired by rainy days in the kitchen! Travelling is what inspires me most!! Every new place is like an open book and gives me new energy and new ideas. Science! The lives of others, reading their stories, history, the sea! Today, its vintage travel posters from India. Tomorrow, probably your book! xoxo Great Job! My inspiration is knowing that I put a smile on my friends' and family's faces with my desserts. I'm inspired by smells and colors, but also by books, films, textures... it goes on and on! Congratulations! I look forward to having a copy of this book! As someone who sees herself as creative but not necessarily artistic, this book will be inspiring. But day-to-day it is definitely my kids who inspire me. Seeing the world through their eyes opens mine up to new things! Congratulations! I love your blog and I cannot wait to get your book ! I am inspired by anything and everything around me on a daily basis, recently it was the blooming of the cherry blossoms which made me create 3 different kinds of cherry, vanilla and almond cupcakes and Cake Pops with Cherry blossom trees hand painted on them ... I enjoy the process so much that the final product is just an added bonus .. The book looks GREAT, congrats!!! I'm inspired by everything around me but I'm motivated by my husband and daughter. My mom inspires me! I definitely get my love of baking from her. It's so satisfying to start with a mix of ingredients and end up with a yummy finished product! I'm inspired by all my fellow students in Culinary School. So many talented people, it always pushes me to do better! Your book looks amazing, and I love your blog! Blogs really inspire me! I always get inspired by my writer's group - so many motivated and talented women doing amazing things! Nature & quiet peaceful moments. Maybe it's a walk around the neighborhood or a drive with no radio or distractions, but these moments always seem to rejuvenate me and allow me to look at my surrounding differently. They get my creative juices flowing so to speak. My family inspires me, or maybe, it's my childhood. In some ways my childhood was the antithesis of everything I want for my children. It spurs me on to keep going, keep trying. I am inspired by others' hard work to fulfill their dreams. I'm inspired by others ... Their happiness, praise and inspiring them...You know that sound people make when they take that first bite of something yummy.... I strive to make things to hear that sound when baking!!! What inspires me is a picture of a cookie, cake, muffin or a dish. My great grandma inspires me. She taught me to cook and to read from a cookbook. The smile on people's faces when they eat something yummy that was cooked from the heart is the best feeling in the world! I thank her for that gift. Yo me inspiro en las pequeñas cosas de la vida, en mis hijos. Ojala me toque y sino lo compraré seguro. The smells! When something is baking or cooking and the smell just wafts up to me, that memory and that instant what inspires me. I'm inspired by my mom. She is the best. Travelling inspires me. There is so much out there and it starts by leaving my house! I must admit I am such a huge fan of your site! 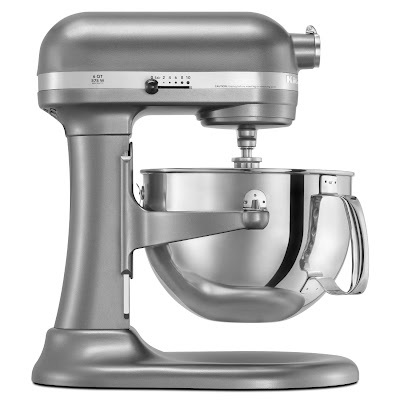 Your style and baking skills intertwine to create magic! So excited for the book! There is nothing better than creating a perfect cupcake in my eyes. They seem to bring such joy to all who receive them and with your help I have been able to not only make them delectable but also a work of art. First of all i love your blog, you make baking exciting! Second of all, i am so excited for your book, im sure its going to be as exciting as you blog but even better now that i can hold it in my hands! Third, what inspires me is the ability to make people happy. Creating desserts always seem to bring joy to everyone who eats them(and even those who dont) people just look at desserts and smile and then when they take a bite, and you see the joy on their faces.....well, thats what makes all the work worth it! Can't wait to receive your new book! Congratulations!! My baking inspiration comes from your blog and a few other of my favorite baking blogs. Thank you so much for sharing your beautiful work! I can't tell you how thoughtful it is that you are planning to release your gorgeous book on MY BIRTHDAY! I've had no trouble remembering THE date. It will be a huge success. Marrying the 'artist meets baker' is so unique and intriguing. All the best of success to you with the book launch and I hope you come to Houston on a book signing tour! I'll be there! I'm inspired by all the talented people whose blogs I read on the internet. Seriously - each and every one of you who writes and puts your projects and yourselves out there pushes me a little closer to doing and being the kind of person I want to be. The whole meal is a "painting"...from the color of the tablecloth, dishes and the food that is plated for the meal - I LOVE to create the "artwork" of cooking! Can't wait to get the book for myself and my two daughters - who have also enjoyed cooking in their married lives! My inspiration is easy: my kids. Their love of trying things and never feeling like failure is a possibility keep me trying new things! A good book of poetry inspires me!! Anonymous (who thinks the whole meal is a "painting") can be contacted at willoughby.susan24@yahoo.com should you pick me! Please, pick me! I'm inspired by anything that anyone asks me to make! Normally people give me ideas, but I'm responsible for giving them life! I love to try new recipes, and the compliments I get and the happiness when people really like something always keeps me going! Food brings us all together! What really inspires me is when the weather begins to cool and the leaves begin to change! Love the smell of apple and pumpkin pies in the oven. And warmed mulled cider. A snuggly sweater and a bonfire! 1)the creative outlet baking has afforded me. Success or a failure, I took ordinary ingredients and created something. 2)the look on my kids' faces when they first see the results of my day's labors. 3) the ability to lose myself for a little while. Baking relieves stress, who knew?